In recent years, personal 3D printers have become a must-have for designers and the tech-savvy. Because of this, more and more brands are making desktop 3D printers that are easy-to-use, even for beginners and in children’s classrooms. With so many options to choose from today, it can be overwhelming to choose the best printers for your specific needs, especially if you don’t know what features you should be looking for. This buying guide features the ten best personal 3D printers currently on the market and aims to make your experience an easier one. Whether you are looking for a quiet and simple printer for your classroom, or you want a high-resolution product for your creative design purposes, there is truly a printer on this list for everybody. The prices range from a little under $2000 to the incredibly affordable price of $250, and each one offers amazing quality and printing volume for the price. 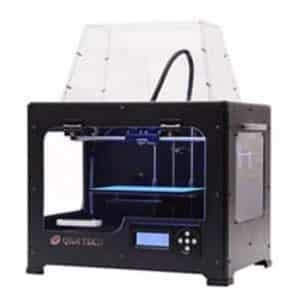 Here are the top 10 best 3D Printers on the market in 2019. 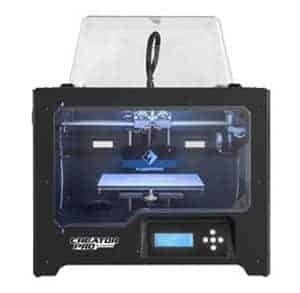 The M2 3D Printer from MakerGear is the company’s third-generation printer, which means that it has been perfected over time to ensure customers get the best in quality. It has 22 x 19 x 20-inch dimensions and was constructed to be extremely durable. The printer’s frame is made with fabricated steel so that it is rigid and long-lasting, so replacement parts aren’t a huge concern. It conventionally comes assembled straight out of the box, so it is ready-to-use immediately for those who understand how to work the software. The M2 is designed to print with a large variety of filaments including PLA, ABS, PET, flexible, polycarbonate, composites, and more. This makes MakerGear’s product a great option for almost anybody, despite their printing needs. The tracks are carefully constructed with machined aluminum to ensure precise printing and protection from damage, and the printing surface is heated. Whether using Windows, Mac, or Linux, this printer works compatible and easily across the board. Simplify 3D software is recommended for best results. 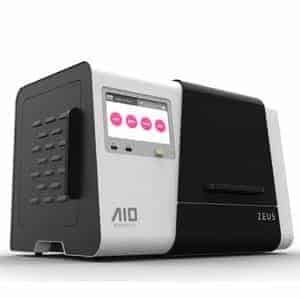 The Zeus 3D printer by AIO Robotics is a stand-alone device, so there is no need for the use of an external computer. Within ten minutes of un-boxing, the Zeus is ready to use even for more inexperienced users. The Zeus features a seven-inch color touch display that allows the printer to be controlled easily and quickly. From this screen, users can automate printing, scan objects, search for files online, and perform onboard editing. The printer automatically levels its own bed, so that precise jobs are completed with minimal intervention. It offers the option to adjust the resolution, and prints up to a maximum of 80 microns using 1.75mm PLA filament. The extruder and turntable were designed to be easily removed, which makes for easy troubleshooting. On the touchscreen display, AIO Robotics has included a “Support” feature that allows users direct access to a professional team of experts with a 24-hour turnaround. The FlashForge 3D Printer Creator Pro features a durable and sturdy metal frame, which is a serious step up from FlashForge’s previous wooden model. The printing plate is constructed with airplane-grade machined aluminum and works on an automatic platform leveling system. 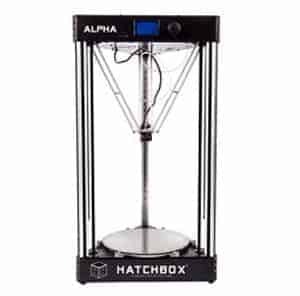 The enclosed chamber design ensures that ABS prints are protected, and the printer is able to regulate heat for safe use without malfunction. All heated printer components are enclosed during use, so no accidents will happen if children happen to be near the printer. The internal guide rod is also constructed for durability and keeps print designs precise and stable, never shaky. This printer is compatible for use with a few different print materials such as ABS, PLA, and PUA. Users of the Creator Pro won’t need to spend unnecessary money on aftermarket software, as FlashForge has created their own powerful software program called FlashPrint. 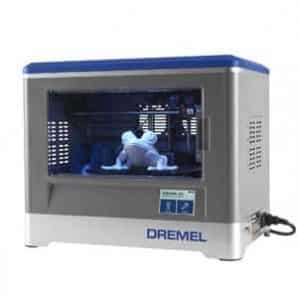 The Idea Builder 3D Printer from Dremel is an affordable and easy-to-use product that is especially useful for inexperienced users who might not be very tech savvy. It is the first 3D printer on the market to be UL-certified after being put through extensive reliability testing, so it is a product that users can count on. The software is simple to navigate, and the touch-screen display offers the option for onboard use when necessary. This means that an external computer is not needed for printing. 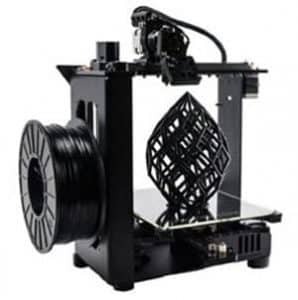 This printer works with 1.75MM PLA filament only, as it does not have a heated printing plate. The Dremel prints at 100 microns and is not adjustable, but this is an absolutely good resolution for most users. This model isn’t prone to overheat, and it is relatively quiet compared to many other 3D printers on the market. The Hatchbox 3D printer comes pre-assembled and ready-to-use right out of the box. The software is easy to navigate and works with Windows XP, Windows 7, and Mac OS, so beginners can figure out the system fairly quickly. The unique elongated frame allows for the printing of taller designs that most printers simply can’t accommodate. The glass plate is heated and levels itself automatically, and it very rarely will need to be manually tweaked. The plate also has an interesting circular design, which allows for better precision and a faster printing speed. The Hatchbox is compatible with a huge variety of filaments, including ABS, PLA, wood, TPU, PET, PETG, HIPS, PVA, and TPE. 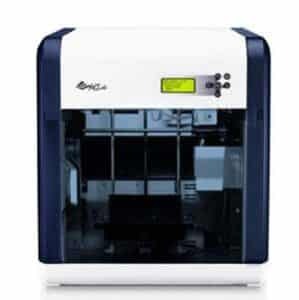 This means that a huge variety of different models can be made with this one convenient printer. Resolution can be adjusted anywhere from 50-400 microns, so the creative process is complete customization. The Finder 3D Printer by FlashForge was specifically designed for use in classrooms rather than for professionals and has many features that make it perfect for users just learning about the 3D printing process. It is extremely affordable and easy to operate on Windows 7, Windows 8, Windows Vista, and Mac OS X software. With the 3.5 full-color touchscreen display, this printer can be used simply with a WIFI connection if an external computer is not present. The non-heated build-plate limits filament options greatly but is safe for kids to use. It also slides in and out smoothly so that models can be taken out of the chamber easily without accidentally hitting other internal components, potentially moving something off its track. The Finder allows for adjustment of printing resolution anywhere between 100-500 microns which are a huge range that allows for simple designs as well and super high quality and technical models. It only works with 1.75MM PLA filament because the build plate is unheated. This may seem to limit, but PLA is non-toxic, biodegradable, and safe for children to use. 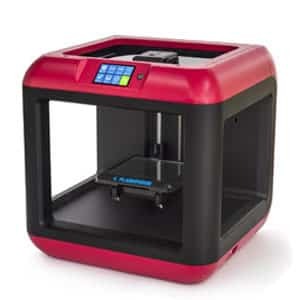 This 3D printer is already fully assembled at the time of purchase, and the automatic calibration feature makes it exceptionally easy to use right out of the box. The print bed and axis adjust themselves to ensure the level and stable printing without the need to be manually tweaked, so designs come out precise. The print bed is heated, so users can choose from over 15 different filament options including ABS, T-GLASS, lay the wood, HIPS, flexible, and much more as long as they are 1.75MM. This allows for great creative potential in terms of structure, color, and use of the design. 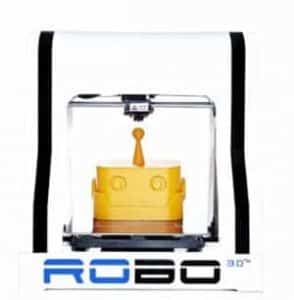 The ROBO printer can create designs and models up to dimensions of 8 x 9 x 10-inch, which is a great size for a 3D printer of this price, and it prints at a resolution of 100 microns. The resolution isn’t adjustable like some of the other models, and 100 microns is a bit on the lower side of this list. However, this resolution is perfectly sufficient for the needs of most personal 3D printer users as long as they aren’t working on extremely technical designs. The QIDI Tech 3D Printer is affordable and extremely durable. The exterior frame is constructed entirely with heat-resistant metal, which puts the printer ahead of the plastic and wood options currently on the market today. The build plate is made of aviation level aluminum, so it has no risk of warping during the heating process and won’t distort user’s models as they sit in the housing. Unfortunately, this plate only allows for models to be made with 6 x 9 x 6-inch dimensions, which sounds small compared to the other options on this list. This is actually a pretty average size relatively speaking, and isn’t any smaller than most people end up needing anyway. The built-in software allows for beginners to easily customize their creations almost immediately after setup. Anyone who has problems can contact QIDI Technology’s amazing customer support, and they should reply within 24 hours with troubleshooting advice. Most problems can be easily fixed from home with a little technical guidance. This small and compact printer is the perfect size for desktop use and won’t be an eye-sore in an office setting. It is incredibly inexpensive and provides great quality performance for the price compared to other options on the market in the same price range. This printer features a 3 1/2-inch display screen and simple knob controls, so users can control it directly as well as from their computer. The build plate is heated to support many filament types including ABS, PLA, PVA, and wood or metal composites, so creative users don’t need to feel any limitations during their design process. The Alunar printer can be a bit tricky to use for beginners and will take some getting used to for those who aren’t entirely tech-savvy. It is an ideal product from experienced technical designers who are already familiar with the printing software. 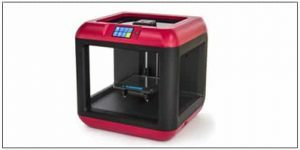 This 3D printer from XYZprinting has easy-to-use software as well as easy filament replacement, making it great for beginners or people working with children in a classroom setting. It is especially safe for children because all of the heated components are safely enclosed in the housing, and there is no risk of coming into contact with the hot end. 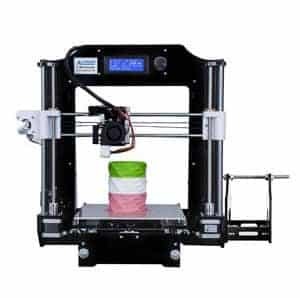 Many aspects of this printer are great for beginners trying to learn about 3D printing and design. The printer automatically cleans its own filament nozzles, levels and adjusts the build plate before printing, and updates necessary software on a regular basis without any prompting. With a 7.8 x 7.8 x 7.8-inch printing volume, this printer offers the best volume for the price so that users can get creative with their designs. With today’s market for 3D printers being so overwhelmingly full of options, we hope that this buying guide helps you choose the best product for your unique purposes. Whether you’re looking for the best of the best or simply looking for an affordable printer, we believe that saving on price should never mean losing out on quality. Each printer mentioned has significant benefits for any budget and would make the perfect addition to your home office or classroom.